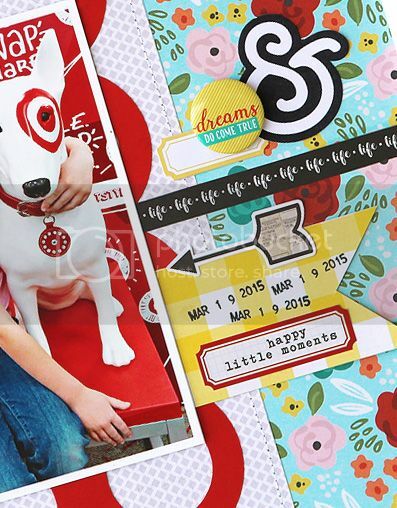 It's time again for the Take 5 Tuesday Challenge that I host each month over at Paper Issues. What's Take 5 Challenge you ask?? Take 5 is where I give you a list of inspiration items, and from that list you must choose 5 items to use on your project. You could win a gift card to the Paper Issues store!! 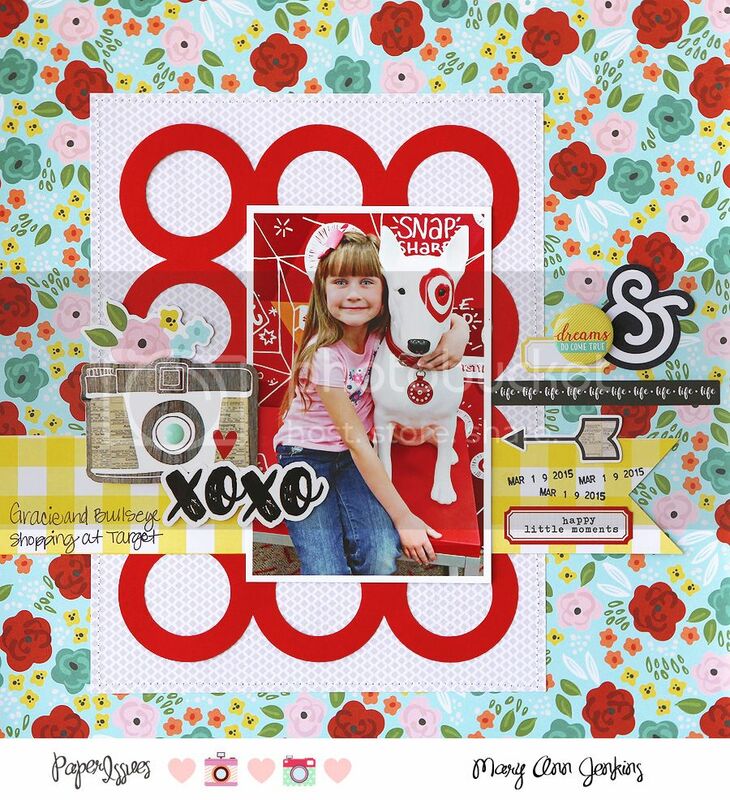 For my layout, I used the color red, an ampersand, flair button, 3 papers, and the date as my 5 items, along with pretty paper and embellishments from the Life in Color collection from Simple stories. Don't you love that cute camera sticker! Be sure to stop by the Paper Issues blog, for even more ideas from the design team. Oh, and I'd love for you to play along too!